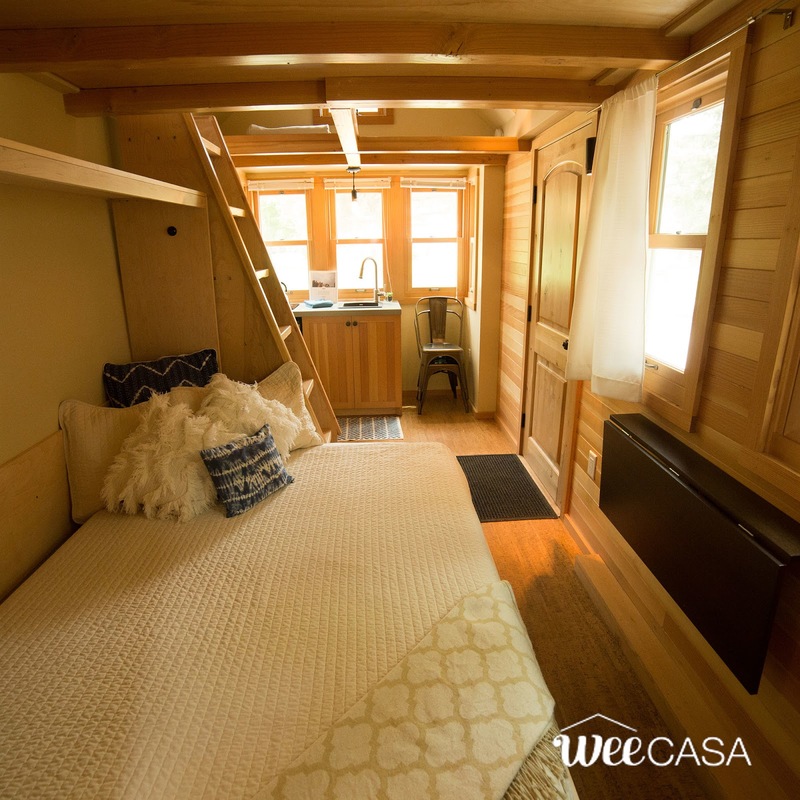 Have a look at the American Aspen: a beautiful tiny home with a classic design! The home has just 170-sq-ft of space but can comfortably sleep up to four people. There's a queen-sized Murphy bed on the ground floor and a second queen-sized bed in the loft master bedroom. 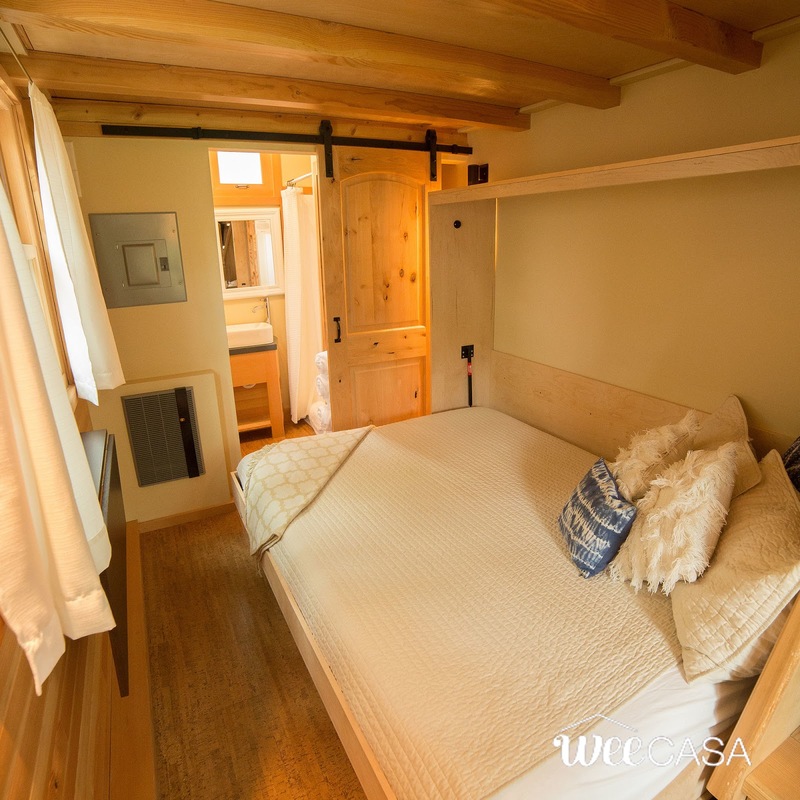 Also included in the home is a small kitchen, a bathroom, heating, and A/C! 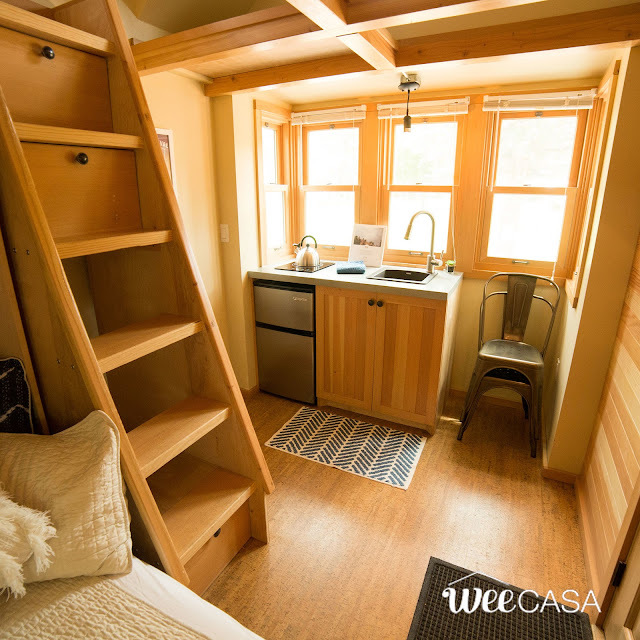 The American Aspen can be booked at the WeeCasa Tiny House Resort for $119 a night! 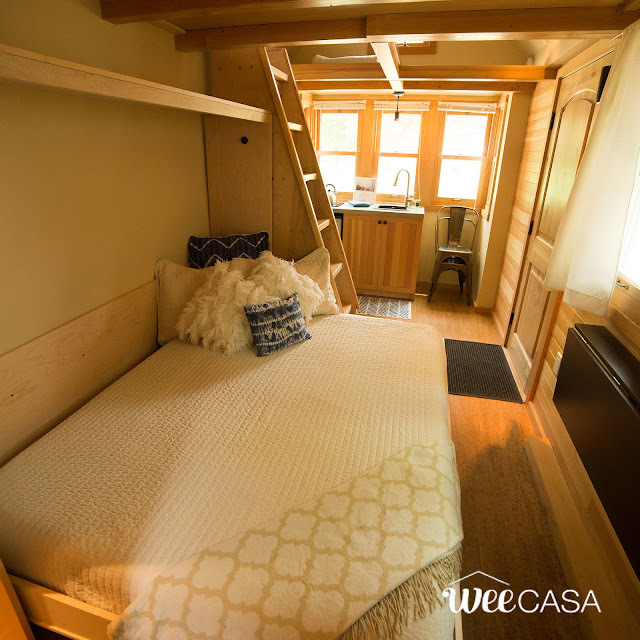 Be sure to check out these other homes from WeeCasa as well!